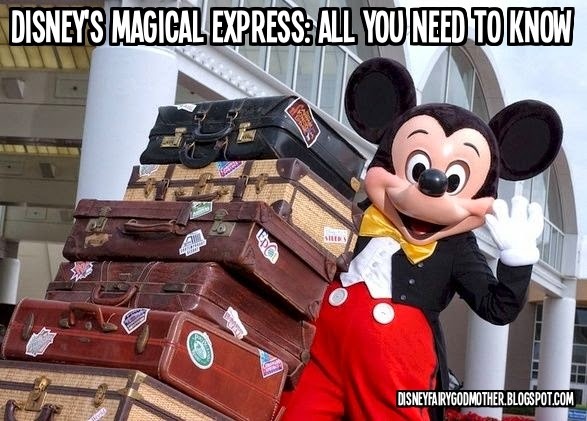 Have you ever thought about using Disney’s Magical Express but didn’t know how it worked. 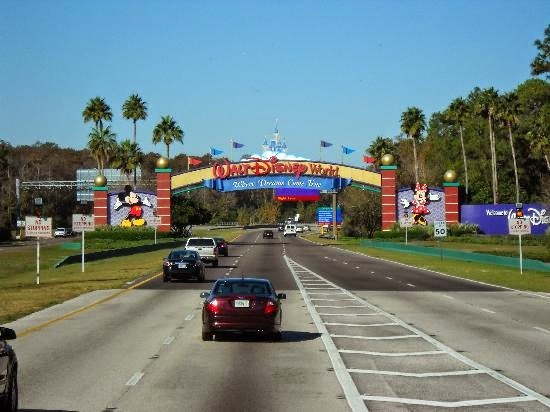 It is a stress free way to get to and from the airport where Disney takes care of it all for you This service is complimentary and is included in the price of your room. Your Disney Travel Agent (Me!) can register for you Magical Express when you book your vacation package or you can call (407) WDW-MAGIC anytime prior to your trip. 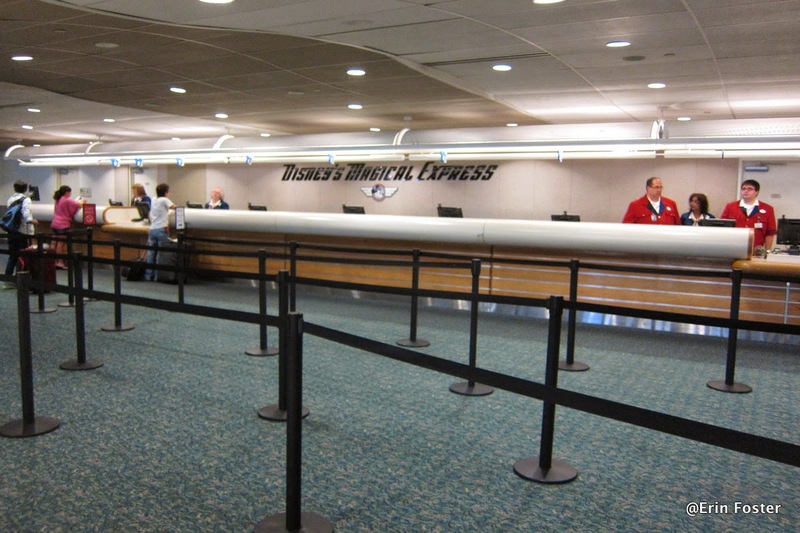 If you register for Magical Express within the 2 week window of your trip you may not get your materials in time and will need to see the Magical Express desk at the airport to check in for your transportation to your resort. About two weeks prior to your trip you will receive a package in the mail from me that includes your Disney’s Magical Express documents. One luggage sticker person traveling. These resemble airline luggage tags. They are yellow and include you name and destination resort. 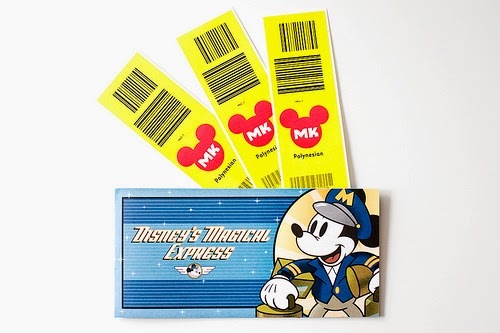 A ticket book with your transfer coupons. You will need this to check in for your bus to your resort. Put your transfer coupon booklet into your carry-on bag. Add the yellow tags to your luggage (if you don't have the yellow tags, just hold on to your luggage receipt from the airline). You do not need to stop and get your luggage. (If you arrive after 10 pm, luggage service will not be available.) 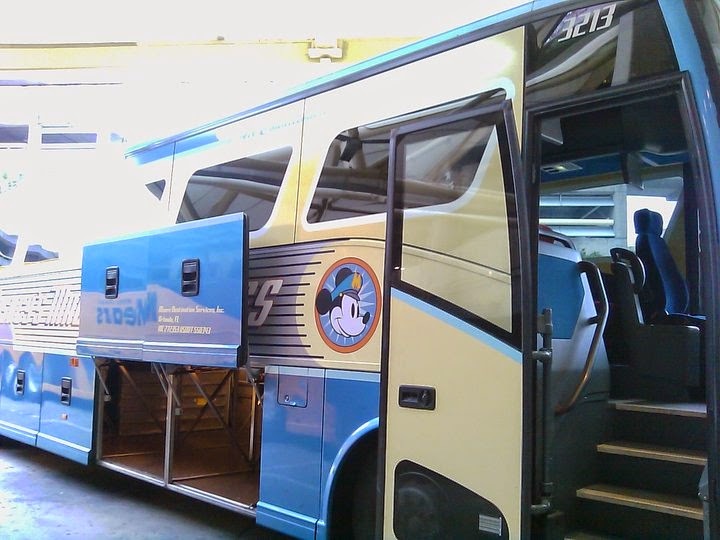 You will need to get your luggage and take it with you on the Disney's Magical Express Bus. Proceed to Side B ground level. At ground level you will see Disney Cast Members with large Mickey hands pointing you in the right direction. If you already have your transfer coupons you can go straight to the waiting area and check in with a Cast Member. luggage to the resort for you. Tip: They also have free Magical Express stickers for the kids that you can only get from the desk. Once you have your transfer coupons you can move on to the waiting areas. 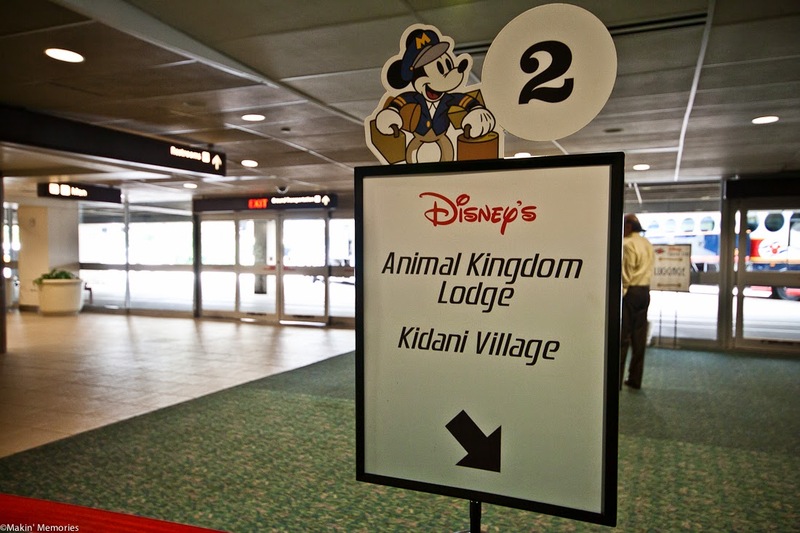 A Cast Member will be greet you and and direct you to the right area to wait for the bus to your resort. Depending on the time of day, you can be in line for just a couple of minutes or close to a half hour. This may try your patience as you have been traveling all day but know they are constantly monitoring the lines and ordering busses. This is a good time to eat a snack if you have one. When your bus is ready, a Cast Member will direct you to the correct spot outside. If you have carry-on or regular luggage, the driver will load it under the bus until you arrive at your hotel. 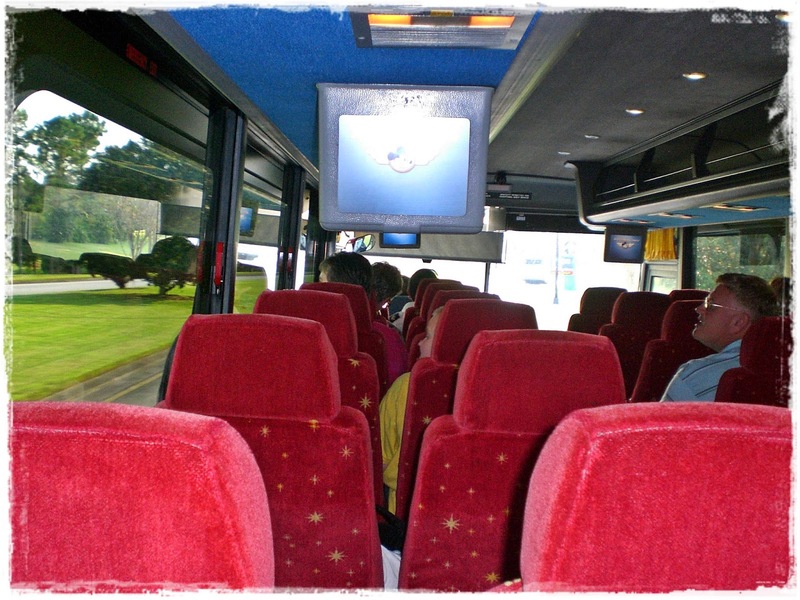 The buses are very comfortable and are air-conditioned. On the way to your resort, you will be shown a welcome video from Mickey and all of his friends. The kids will be entertained on the 20 minute ride :) Wait until you ride underneath the Walt Disney World sign...everyone will be so excited! About 3 hours after you check in, your luggage will magically appear in your room. Your resort is given a heads up when your bus is about to arrive. They will have as many cast members ready to make your check-in a breeze. About 3 hours later your luggage magical appears in your room. If 3 hours is too long until you have your luggage, you have the option to pick up your bags from the airport yourself, bring them to Magical Express, and have the driver put the bags under the bus. 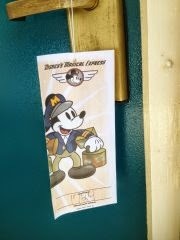 A day before you check out Disney Magical Express leaves an envelope on your room door with the information you need for your return to the airport. If it does not arrive just go to the front desk and they will take care of it. Magical Express will pick you up at your resort about 3 hours before your flight leaves. You can go to the lobby and check in your luggage in for your flight and have your tickets printed for you up to 3 hours before Magical Express departure.